"A fake ID at Penn is absolutely essential." Penn, despite its prolific athletic history, is just starting to tap into sports culture. MERT is our safety net when we go too far. But many forget that under the red shirts are fellow Penn students—living the thrill of a Friday night. Penn students don’t agree on what it means to own or shoot a gun. Though RA policies are strict, most don’t address the gray area situations advisors find themselves in. While maneuvering through a dual–role as friends and supervisors, RAs often rely more on personal assessments and spur–of–the–moment judgments than university policy to navigate their halls. “It was basically like going to college as a fourteen-year-old.” Sam Ax, now a Wharton sophomore, opted for the “clean-cut” look on the 2,300 mile flight from Phoenix to Boston. In the United States, fewer than 1 out of every 1,000 people are diagnosed as “functionally deaf” before the age of eighteen. Only two of those students found their way to Penn. Explore the social, entrepreneurial and intellectual escapades of Penn students' year–long, off–campus adventures. Forget the Back to School goals you wrote down in your Penn Planner. Street's got your real bucket list covered. SPEC spells out Fling for Street Readers. Dear Penn, As always, we Fling Directors are very excited for this year’s Fling, Alice in Wonderland edition. In the cover photo for an event on Facebook, a young woman arches her back, and opens her mouth. Champagne spills down her throat, froths over her bare shoulders, soaks her long hair. It was a Friday when Lauren Hunter got the call. After leaving work and a last minute lunch at New Deck, the College junior had one hand on the door to her off campus house when her phone call with her best friend from home was interrupted by a call from her mom. 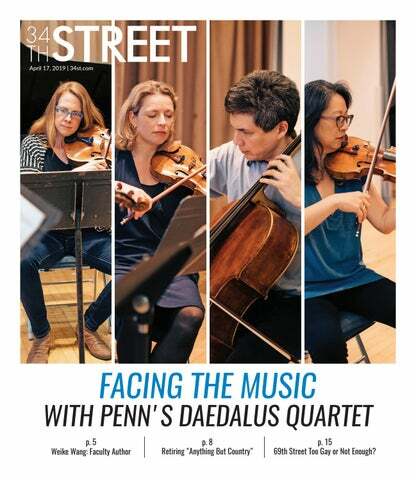 Street combed Penn's campus to unleash our biggest journalistic Endeavor of the year. Here, we give you nine faces to ease the sorrow of realizing Emma Watson Won't be joining us in Fisher–Bennett next year. It’s a Tuesday night in March in the basement of Harrison College House, and four Penn students gather around an unused pool table. The two sitting in the middle rotate the responsibility of dealing cards to the group. A $160 pot has been collected, and one dealer keeps the cash in the back pocket of his jeans. The colorful, plastic chips mean more. What colors do you see in this dress?